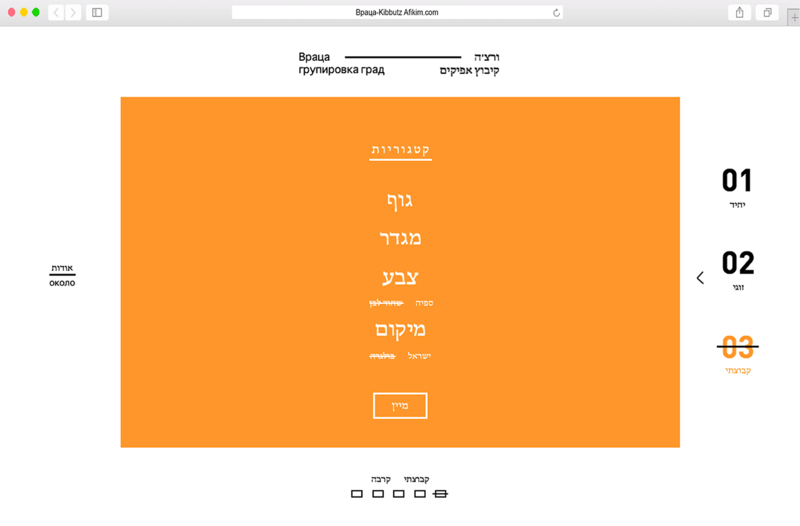 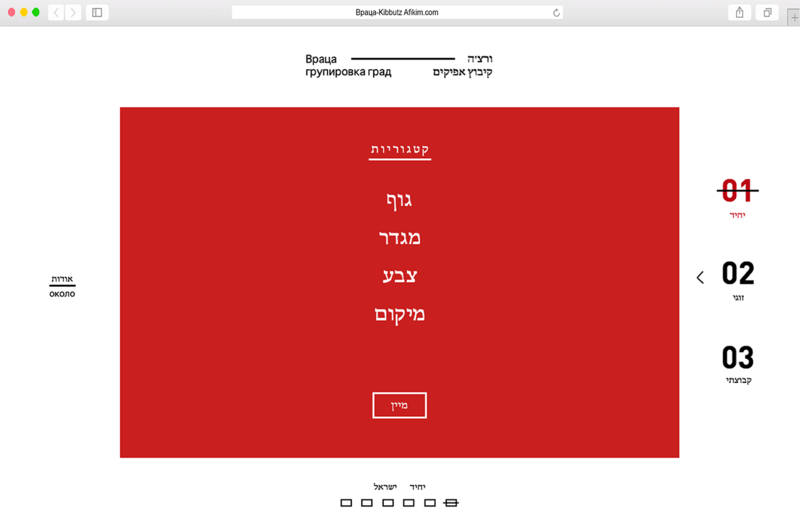 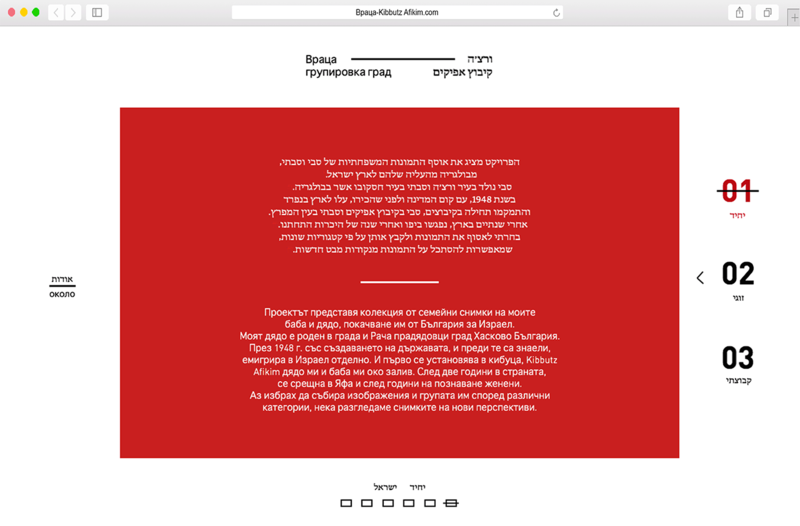 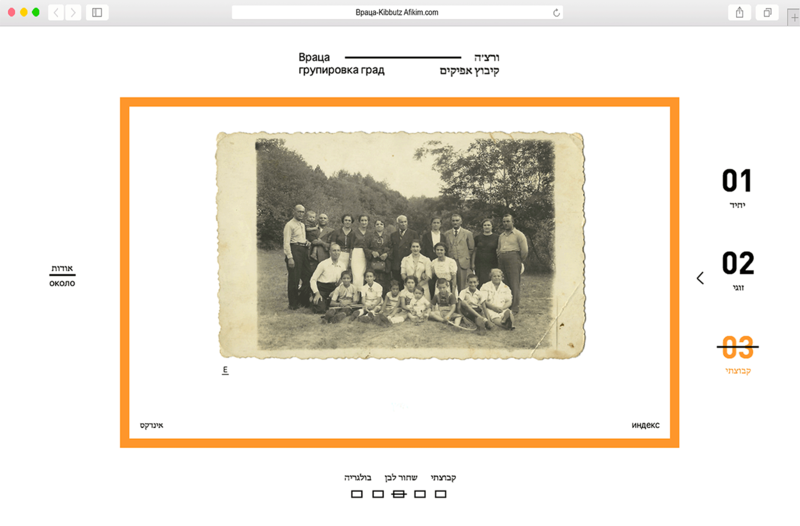 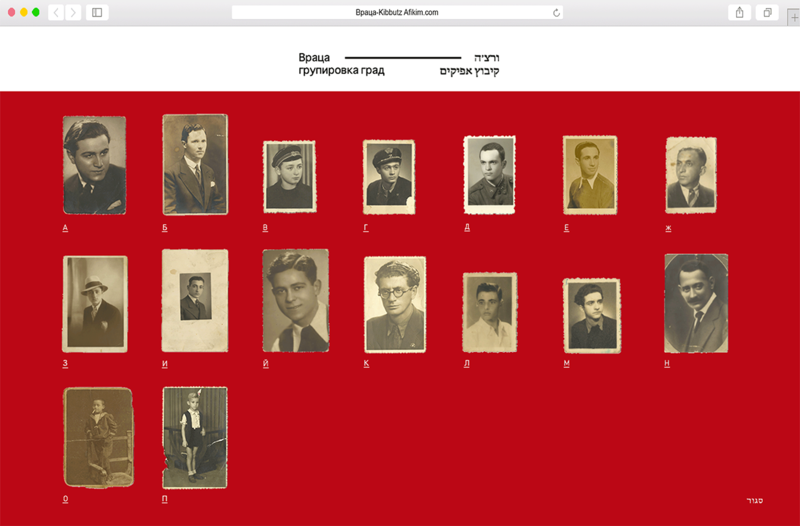 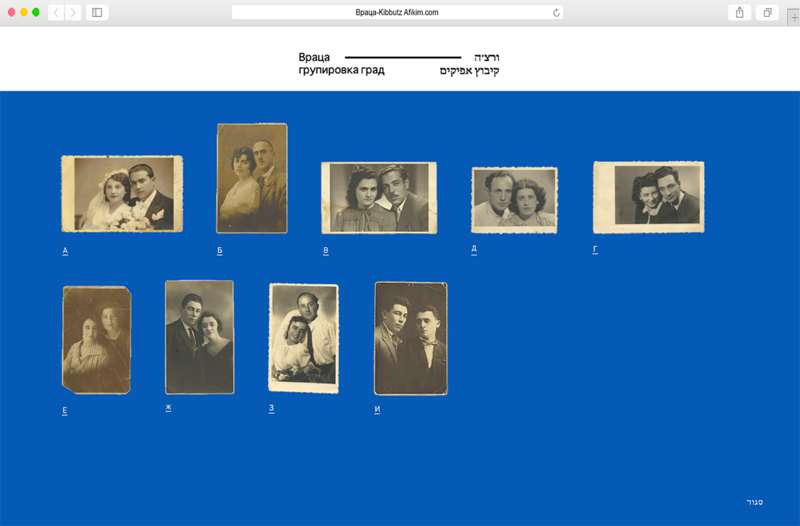 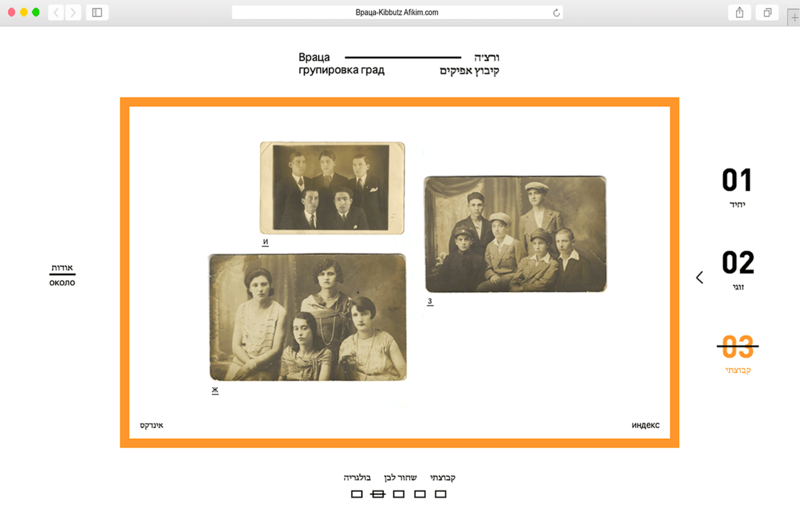 In this project I present the photo collection of my grandparents from Bulgaria and later Israel. 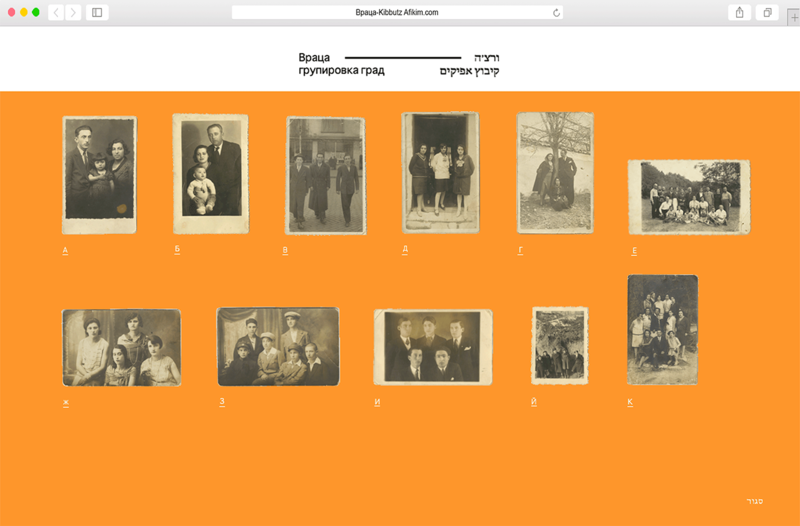 I used a website as an interactive platform that enables the viewer to browse the collection by applying different filters that create different compositions of the collection. 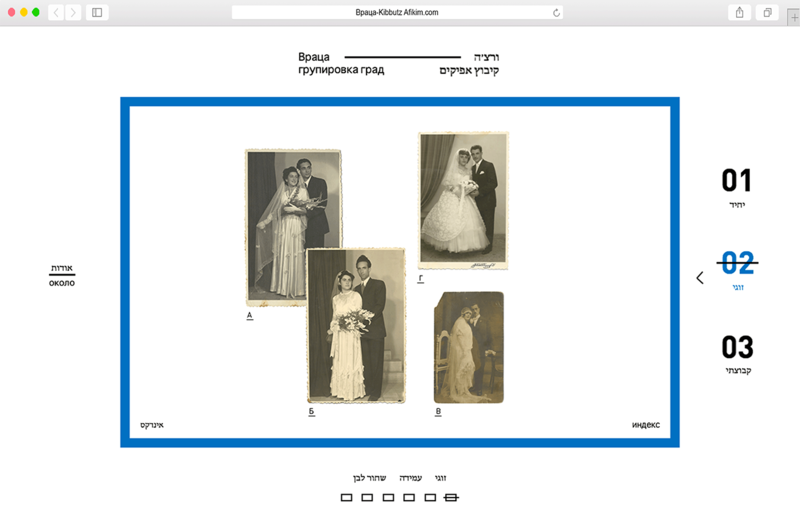 The photos are also indexed in order to enable easy access to each photo through an index page. 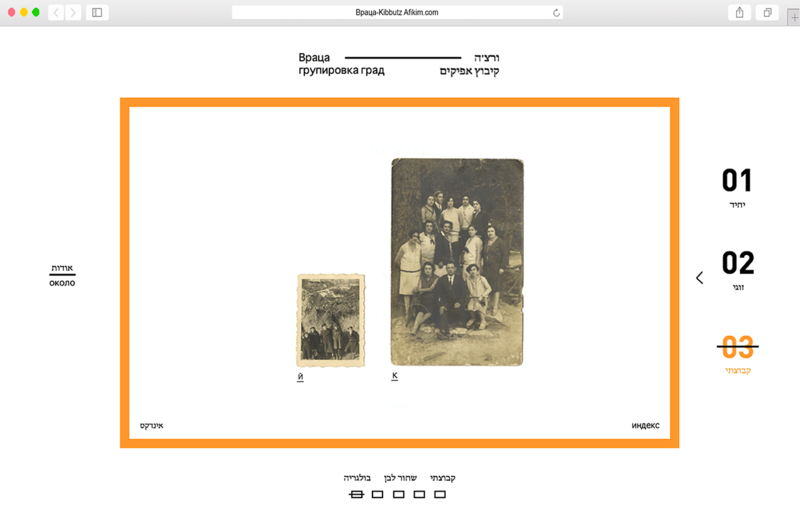 In order to give the photos an authentic feel in the digital medium, I used an animation that shows the photo as a 3D element that can be flipped, as it was a physical photo.Full Website.